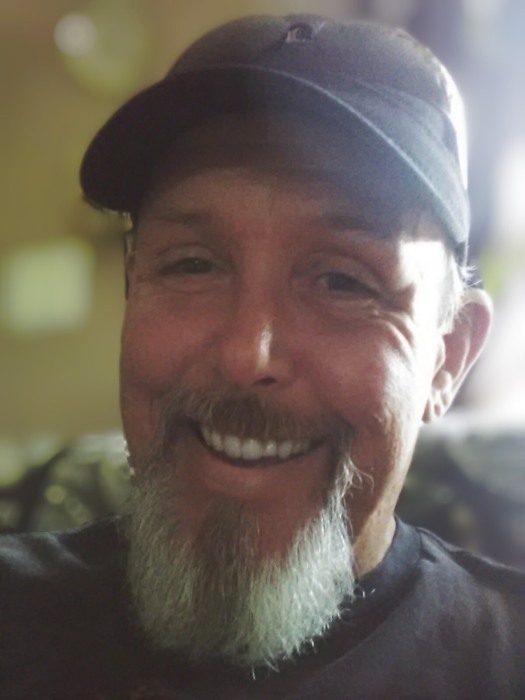 Richard Edward McGaughey, 54, passed away unexpectedly on Friday April 5, 2019 at his home in Myrtle Beach, South Carolina. He was born on September 25, 1964 in Weirton, West Virginia to the late Oliver E. Pearl & Ruth Lorean (VanCamp) McGaughey. Along with his parents, Rick is reunited in death with his brother Paul (Jughead) McGaughey Jr. & sister, Ina R. Bee. He is also preceded in death by his father and mother in law Virgil D. and Verna O. Cain, brother in law Terry L. Cain, nephew Shawn E. Cain, and great niece Taylor G. Cain. Rick was an outgoing and loving man with a friendly personality. He loved to play pool, one of the best there was in the leagues for many years. Riding motorcycles in local poker runs for charity was always something he loved to do. Rick was gifted with the ability to excel in any sport or game he played. He loved all types of music, and would play a youtube concert every Saturday morning for a positive start to the day. After receiving harmonicas for Christmas 2018, Rick had already taught himself how to play Happy Birthday, Neil Young-Harvest Moon, Neil Young- Heart of Gold, and was practicing many others. He spent many great times camping in the mountains and vacationing at the beach with his family. His close family and friends describe him as a gentleman and a selfless man who would gladly offer the shirt from his back, to anyone in need. Above all else, Rick loved his family. When he spoke of his daughter, his whole face lit up with pride. Rick was also a gentle giant who loved animals and all people. He will forever be remembered for his smile and the pictures of the sunrise he would send to his family every morning to remind them of his love for them. Rick will be truly missed by all who had the honor of meeting him. He had a few special guys in his life over the years who we would like to thank for being such great brothers and true friends to him. Just to name a few; his brothers from other mothers, Larry Cain, Dan Cain, Bryan Cain, Jimmy Bessis, Eddie Martin, and Big Gary; All of his Breakers friends; All of his Myrtle Waves friends. He truly loved all of you, and also loved his jobs because he thought so much of his bosses and his work friends. Left to cherish Rick’s memory are his beloved wife, Debbie Sue McGaughey of Myrtle Beach, with whom they would have celebrated 31 years of marriage in October; their beloved daughter and only child, Ashely McGaughey (Nicholas Bender) of Myrtle Beach; his spoiled rotten boys (pets), his personal hero Ben, Arthur, & Victor; his sisters, Vicki (John) Patrick & twin sister Judy (Randy) Bramhall; Brother and sister in laws, Larry D. (Betty) Cain, Deborah (Tim) Cain, and Cathy (Joe) Mahan; Nephews, Andy Jenkins, Brett Cain, Dan (Susan) Cain, Bryan (Becky) Cain; Nieces, Amy Cain Baker, Monica McGaughey, and Sylvia Jenkins; Great nephews, Cory (RosieKay) Curran, John Bessis, Nicholas (Brittany) Cain, Nathan (Cody) Skinner, Austin (Kayla) Skinner, Logan D. Cain, and Eli Cain; Great nieces, Ashley (Peter) Medico, Samantha Goodman, Sydney Cain; Great-Great nephew, E. Cyrus Curran; Great-Great nieces, Isabella Goodman, Scarlett Cain, Peyton Cain, and Sutton Spradlin; as well as a large, loving, extended family & many supportive friends and neighbors. A Celebration of Rick’s life will be held in the form of memorials on the beach and in his home town for all of his family and friends to attend. He will be visiting Blackwater Falls, The Littlest Church, and Coopers Rock on his way home. Because her father and mother have taken in and helped many kids during hard times over the years (you all know who you are), Richards daughter Ashley would like to request that everyone pay it forward by helping those in need. Also, please take good care of your heart health.